Nutrition Therapy is an essential component of eating disorder treatment. Provided by a dietitian, nutrition therapy includes a combination of nutrition education, meal planning, behavioral therapy and goal setting. It also may include hands-on exposure and skills work. Nutrition therapy helps the individual recovering from an eating disorder cultivate a healthier relationship with food in order to gain the skills and education needed to feed oneself for health. As part of the multi-disciplinary team approach, the nutrition element of treatment focuses on food-related behaviors, allowing time in psychotherapy to be spent examining the underlying issues leading up to the development of an eating disorder. Not surprisingly, nutrition therapy is often met with a great deal of resistance. In the nutritionist’s office, patients face their fear head on. However difficult it may be, sitting with this fear (in a safe environment) is an important part of recovery. What Can I Expect at the Dietitian’s Office? A meal plan is a tool used in eating disorder recovery that provides a framework for healthy eating. The dietitian will formulate a meal plan catered to the patient’s individual nutritional needs. The meal plan provides structure and an external guideline for patients with eating disorders. It is helpful to have this external framework initially, since most people with an eating disorder lose the ability to recognize physical hunger cues. Eating mechanically by way of the meal plan provides the foundation for internal food regulation. Think of the meal plan like a set of “training wheels”. A person won’t need them forever, but in the initial stages of treatment, it can be very helpful. What are other strategies used in nutrition therapy? A large part of nutrition therapy includes education and behavioral counseling. Nutritionists specializing in eating disorders encourage healthy eating while emphasizing the importance of pleasure and moderation in the eating process. 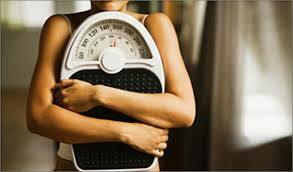 Individuals with eating disorders hold a lot of distorted thoughts about food and their bodies. The dietitian helps challenge and reframes these thoughts, while providing accurate and helpful information on nutrition and metabolism to support the recovery process. Since most patients arrive at treatment with a high level of ambivalence, the nutritionist will often do some motivational counseling to help move them towards change. It is important that the client be invested in the work, but a certain degree of uncertainty and fear is normal. A good dietitian or nutritionist will determine what motivates their patients and help support them through difficult changes.